Bike night, festivals, music, Oktoberfest, pumpkins and more! Friday: Join the annual Oktoberfest event at Cape Harbour! Enjoy live music by Stolen Fruit from 6-10pm. We will be having Currywurst Food Truck and a draft truck! This is a FREE event for the whole family: bounce house, corn hole, and of course the stein hoisting contest! 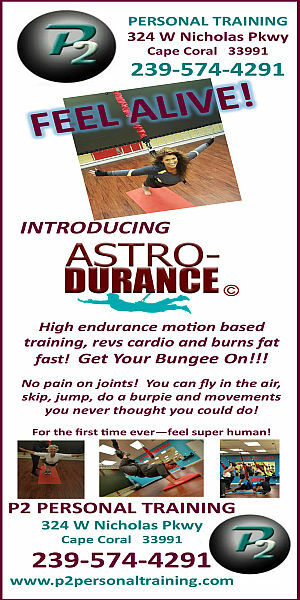 The fun starts at 5 pm and goes until 10 pm. 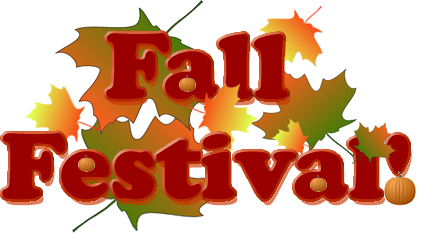 Friday: Gulf Elementary School is hosting a Fall Festival for the community from 5 – 8 pm. Haunted hallway, games, bounce houses, obstacle courses, slime station, dunk tank, silent auction, food vendors, book fair, vendors, and more. 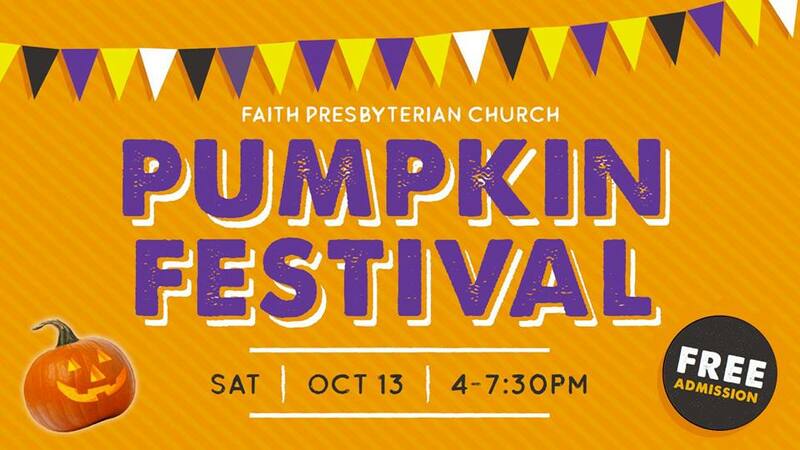 Saturday: Faith Presbyterian Church is hosting their annual Pumpkin Festival from 4 pm-7:30 pm. There is FREE admission with a canned food donation. Includes music, crafts, games, bounce houses*, face painting, hayrides*, a blacklight puppet show, and pumpkins! Food and beverages will be available for purchase. $5 per person for wristbands for the hayrides, bounce house and inflatables. Their pumpkin patch will be selling pumpkins through the 31st, 10am-8pm every day. 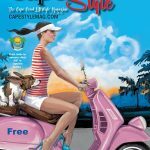 Saturday: Join the kick off of another season of Cape Bike Night! 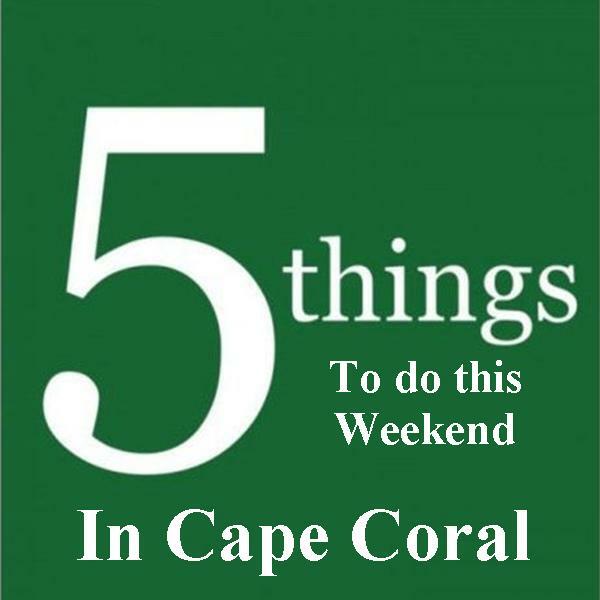 Enjoy a night out with great entertainment, food, vendors, and motorcycles in the South Cape from 5 – 10 pm! Bike Night is on the newly renovated SE 47th Terrace. ENTERTAINMENT SCHEDULE (no admission charge): 6 PM is MAIDEN CANE, then 8 PM is QUIET RIOT, both on City Stage located on SE 11th Place next to Dixie Roadhouse. 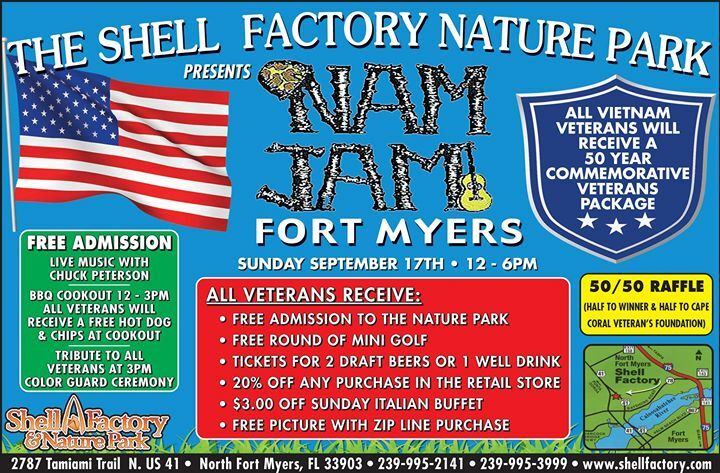 Sunday: Join the Shell Factory from 11-7 pm for their annual NAM JAM to honor our veterans. There will be live music, great food, 50/50 raffle, lots of discounts on attractions, food, beverages, and gifts. Great family event and FREE to attend.